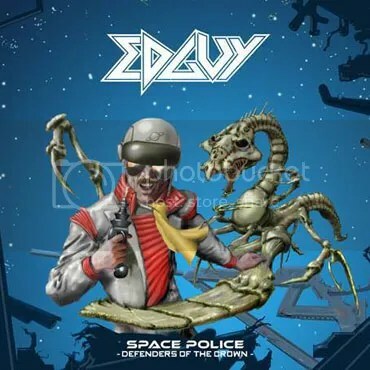 Edguy returns with their tenth studio album Space Police – Defenders of the Crown, and just a spoiler for the review ahead, it’s really damn good. 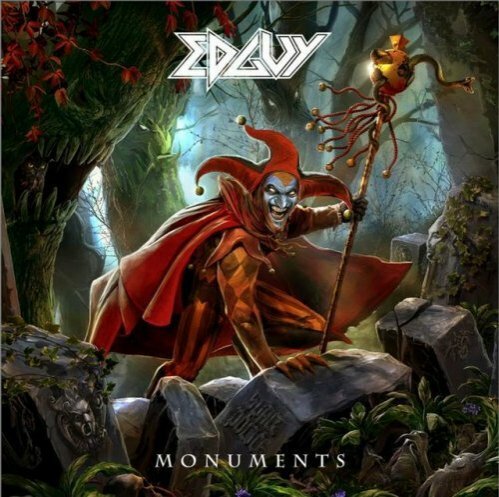 The long awaited follow-up to 2011’s Age of the Joker, Edguy delivers another excellent record that is sure to keep fans of both the band and heavy metal alike, happy. This album is an enjoyable straight up heavy metal album from start to finish, as well as taking tropes from classic rock. This album has everything from the fast paced belters to the catchy, riff and solo filled, sing alongs. The album starts with the heavy and commanding Sabre & Torch, giving the album a spark of energy to start off with. It was the best foot forward for the band as the this song shows off the vibe they wanted – a heavy, enduring, pure metal tune. The next two songs Space Police and Defenders of the Crown are also well written and have some intense and interesting lyrics. These three songs back to back just kick the album into high gear, there’s no wonder the latter tracks are both “the title” of the album. 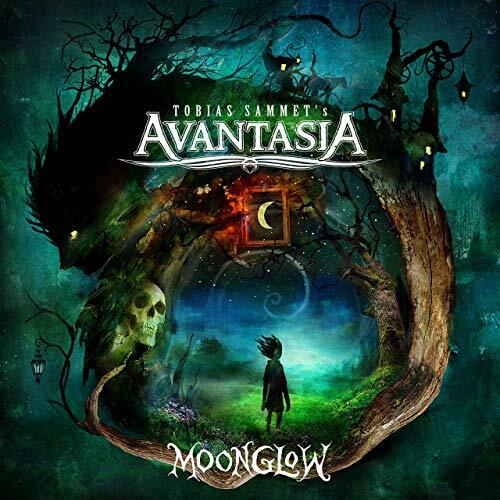 All throughout the album Tobias Sammet’s strong songwriting and excellent compositions are present, and provides all the songs so much emphasis and flaunts a striking presence. There are so many good melodies, riffs and solos on this record, it makes every song sound big and definitely catches your attention. One of the selling points of the album, for me at least, is their cover of Falco’s 1985 hit Rock Me Amadeus and… it’s one of the best covers I’ve heard in a long time. It captures the spirit of the original but adds the heavier music and Edguy’s traditional light-hearted tone. Around this cover, we have some of the best written songs on the album. Love Tyger, The Realms of Baba Yaga, and Do Me Like A Caveman are fun filled, high octane songs that bring that old school rock energy. They all bring that great sound that Tobias Sammet is always so good at creating for the metal world, and trust me once these catchy tunes are in your head they won’t be gone for a while. In summary, as if you couldn’t guess already, this is an album well worth buying. Edguy makes a staggering return to form and boast it. The production, writing and the musicianship are well done, making the overall listening experience feel magnificent. The whole album is easy to listen to and this is a must get for any true fan of metal.